At Capgemini, we are gearing up for Inforum, Infor’s flagship customer event July 10-12 in New York City. As a Platinum sponsor, we are excited to showcase our solutions, powered by Infor technologies that enable cost savings and productivity gains using digital workplace transformation. The Infor and Capgemini teams are eager to discuss and debate challenges and opportunities in the areas of digital manufacturing, supply chain analytics, and distribution order management. Cloud-based technologies play a vital role in the digital transformation journey. Infor has invested heavily in the Infor CloudSuite product offerings with micro-vertical specialization to facilitate industry-specific processes with last-mile functionality. With a common industry-first approach, Capgemini also incorporates industry-specific predictive analytics to drive digital customer intimacy and operational improvement in areas like secure and easy tracking and completion of digital manufacturing processes. 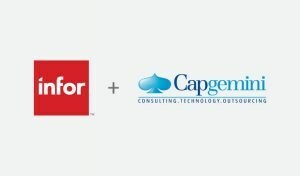 In the true spirit of the word “partnership,” Infor’s unique specialization and Capgemini’s industry expertise and experience come together for large transformation programs to create a holistic method. Infor’s last-mile industry focus is providing critical flexibility to our joint customers’ ERP systems surrounding manufacturing technologies, such as Just in Time, where Capgemini continually displays project-proven expertise. If you’re planning to attend Inforum, we’d love to connect. Drop by our booth full of experts presenting key solutions and ideas that will elevate the way your business functions. Attend our inspiring joint keynote speaking session with Infor and AWS that will spark the redefinition of your digital transformation. Connect with your Capgemini contact and express your plans to attend Inforum, or request a meeting. Inforum will be a perfect opportunity to gain new insights to core industry challenges. We’d love to hear from you—either at the event or any time at all—to swap ideas on how our solutions might create new opportunities for your organization. Feel free to connect me. Get details on all Capgemini sessions and activities at Inforum. John D. Clark is a vice president at Capgemini and leads its Infor Alliance Practice in North America.